DeepCool are a company we look at often, providing good quality cooling equipment at a price that usually heavily undercuts the competition, the GAMMAXX L240 we have today is no different, currently available at only £49.99 in the UK and $79.99 in the US. The DeepCool GAMMAXX L240 offers all of the features you would require, including a pair of 120mm RGB PWM fans, braided tubing, an RGB pump, full mainstream Intel and AMD socket support and much more. 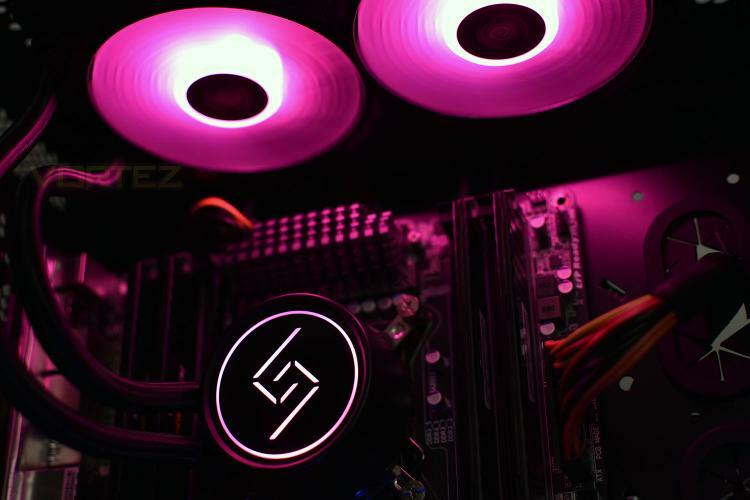 The RGB lighting can be synced with ASUS, AS Rock, Gigabyte and MSI motherboards via the relevant headers, though, likely as a cost-saving exercise, they’ve forgone the usual SATA powered RGB controller, so without any headers on your board, you won’t be able to take advantage of the LEDs. DeepCool have optimised the radiator using E-shaped micro water channels which increases surface area while enhancing heat circulation, both of which should improve overall performance. Thanks to the availability of the GAMMAXX L240 at £49.99 in the UK, this, on the face of it, appears to offer excellent value for money, but are there any pitfalls to such a low cost? We’ll find out.